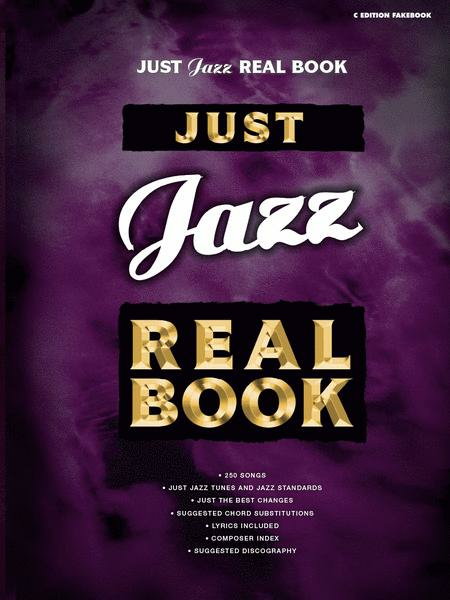 From classic jazz standards to bebop, cool, and modern jazz, the Just Jazz Real Book contains 250 jazz classics that are the core required repertoire for jazz musicians all over the world. Production teams in both the U.S. and U.K. took great care to ensure the accuracy and usability of each arrange ment, and original composer sources were consulted to ensure that the arrangements remained true to the composers' intentions. 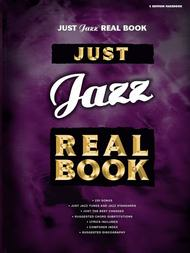 Each book in the series is extensively cross-referenced with appendices that include a complete composer index, a complete discography of suggested recorded versions for each song, a section on how to play from a fakebook, chord theory reference pages, chord voicings, and a section on how to create interesting chord substitutions.
. One improvement could be putting a spiral binding on the C edition, like they have on the B flat edition. I even bought the B Flat edition to make a gig-ready repertoire. 21 of 39 people found this review helpful. I had many "Fake" books but none have the best chord changes. It makes such a difference to have the correct harmonies. I spent hours just enjoying going through as many tunes as possible playing the melody line and then improvising on the harmonic progression. This book is great! 24 of 45 people found this review helpful. November 19, 2008 you can buy it! this real book is very clear and organised. texts are easy to read for singers. it's a very good object. 34 of 80 people found this review helpful. to try your own hand at pieces you've probably heard but not seen before, and play them at any level you are since it's lead sheet format. I love this book! 39 of 82 people found this review helpful.